Hamilton Island Reef View Hotel Reservations. Call 020 7962 9933. Australia is famous for many things from the iconic Sydney sights to the rainforests of the Daintree and you can see it all with this triple-centre tour. 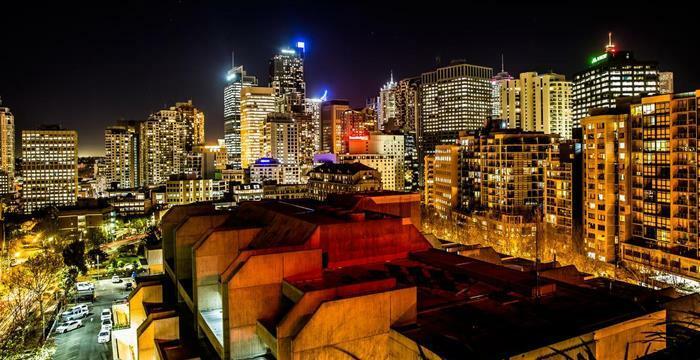 This 5 star offer encompasses the city, desert and coast in one, starting at The Park Royal Darling Harbour for 4 nights and only paying for 3 where you can take a stroll down to the picturesque Cockle Bay. From here fly to stunning Uluru (Ayers Rock) and stay in the Desert Gardens Hotel for 2 nights in Standard Room and take in this magnificent natural wonder. Finally, fly to Hamilton for 5 nights at the Hamilton Island Palm Bungalow which is perfectly located in the heart of the Great Barrier Reef and Whitsunday Islands. The hotel is set amid beautiful tropical gardens on Hamilton Island, the largest of Queensland’s Whitsundays. It makes a jaw-dropping location for exploring the surrounding Great Barrier Reef. The island has its own airport, which you can reach from various points on mainland Australia, so although it feels like it’s a world away, it’s pretty easy to reach and well worth the effort – especially as the hotel has its own shuttle bus. You can book yourself a session at Spa Wumurdaylin (meaning ‘dragonfly’), the perfect place to unwind. Using top-quality products, experienced therapists provide a range of treatments, including body cocoon wraps, facials, exfoliations and massages, to name a few. The 18-hole Hamilton Island Golf Course, on adjacent Dent Island, is spectacular. It’s the only golf course in Australia sited on its own island! The 363 rooms and suites are large, comfortable and done out in a modern style, all with private balconies and great views of the sea or the tropical gardens. Each room provides air-conditioning and ceiling fan, minibar, tea- and coffee-making facilities, free wifi, iPod dock, TV and in-house movies. You can choose from garden view and Coral Sea view rooms, family rooms, reef suites, one- and two-bedroom suites and the palatial two-storey top-floor presidential suite, which has its own cocktail bar, dining room, BBQ area and private plunge pool. The hotel has a gym, swimming pool and tennis courts, and many of the activities are free of charge: for instance, snorkelling, paddle surfing, windsurfing, catamarans and bushwalking. For a fee you can also arrange a spot of sailing, jet-skiing, fishing, target shooting, quad biking, go-karting and parasailing. For kids, the Clown Fish Club provides a jam-packed programme. And of course, this being the Great Barrier Reef, diving is a huge thing, and if you fancy trying it out, the PADI dive centre can arrange training and dive excursions to Reefworld, where there are options for submarine rides and snorkel safaris. The Pool Terrace Restaurant provides a choice of dishes overlooking the hotel’s tropically landscaped pool. There are many other dining options on the island, including takeaways and fine-dining choices. For drinks, there’s the Reef Bar and Lounge, and children are not forgotten as there’s a special children’s menu in the restaurant (resident children under 12 eat for free from the kids’ menu when eating with parents).